The view of the mountains and the surrounding forests, will allow you to enjoy the beautiful landscapes according to the seasons. Lovers of whitewater activities or hiking, will find their happiness nearby. 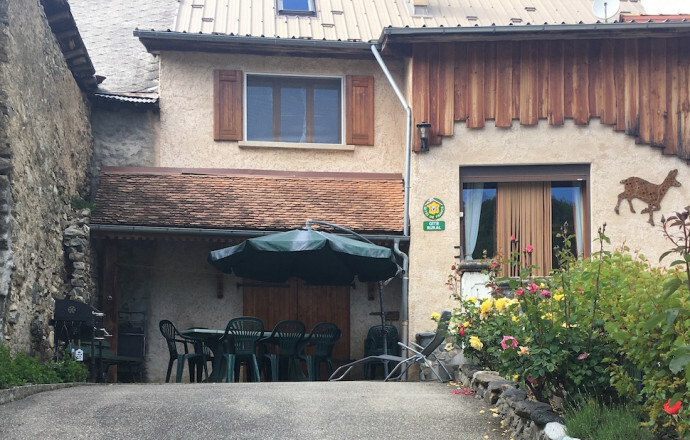 It is in the small hamlet "Des Blachus" that you will find this terraced house with entrance on the ground floor: duplex + 1 floor. This cottage has a large dining room sitting area with fireplace and TV, DVD player, VCR, mini channel. A large kitchen, dishwasher, microwave. 5 bedrooms (4 double beds, 4 single beds, 2 bunk beds). Relaxation area for children. Bathroom, shower room, 2 toilets, washing machine, central heating. 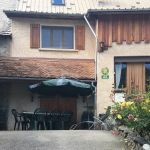 You will benefit from a terrace with living room of garden and barbecue, of a closed courtyard with grass, common portico. WIFI access. Possibility of cleaning fee. Package wood 1/2 stere: 35 €.